For friends and family that live far away, I have always loved to order gourmet foods and gift baskets that the whole family can enjoy. 1-800-Flowers, 1-800-Baskets, and The Popcorn Factory is all on one website, so you can order from all three and only have to checkout once. Take a look at some of the gourmet food gifts my family received to sample from this trio . . .
Let us start with my absolute favorite . 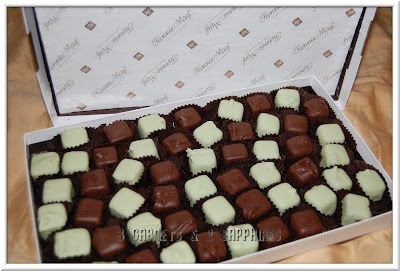 . . the Fannie May Mint Meltaways! These delicious mint chocolates really do melt in your mouth. I have not decided yet if the milk chocolate coating is my favorite or the pastel. I think I am leaning towards the creamy pastel. The box is nearly empty, so I will need to make up my mind soon. 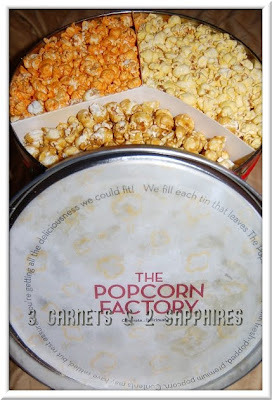 Everyone in our house just loved the 3-way popcorn tin from The Popcorn Factory. How can you go wrong with popcorn, especially in a household with children? I actually do not see this Poinsettia 3-Way Tin on the website any longer, but there is a 4-Way Holiday Popcorn Tin available. The Cheryl's Frosted Holiday Cut-out Cookies is ideal for sending to anyone who is on-the-go, whether it is a family with children or a busy office. 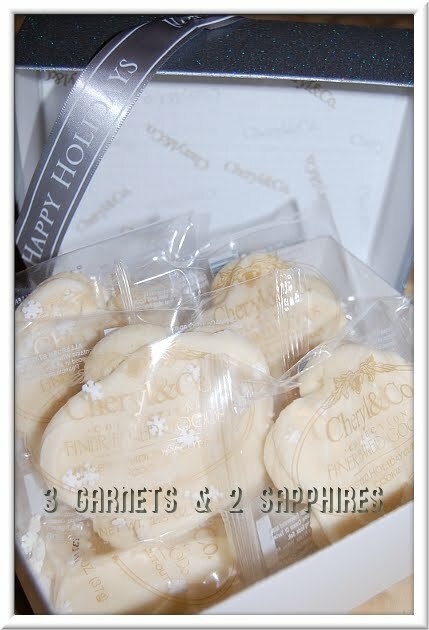 Cheryl's cookies are decadently delicious and individually wrapped for freshness. They can be packed in a lunch box or in a briefcase to put a smile on someone's face in the middle of the day. 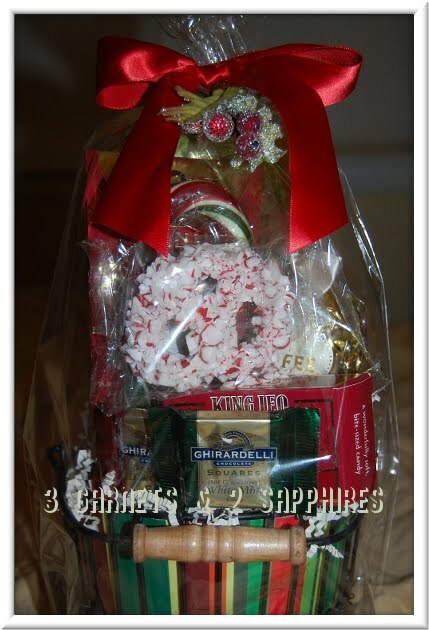 The Comfort & Joy Sweet Treats Gift Basket (pictured at the top) is perfect for an individual. There is a sampling of popular gourmet sweets, such as Guirardelli chocolate squares, a Harry London chocolate-covered pretzel, toffee, a jumbo hand-pulled candy cane, and more. I seriously have not opened this basket yet because I need to figure out how to share it with the other four members of my household. Maybe if I hide it, everyone else will forget about it after awhile. Then I could have it all to myself! 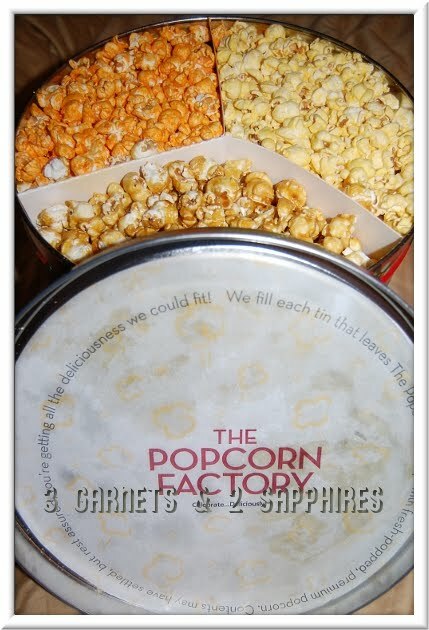 1-800-Flowers, 1-800-Baskets, and The Popcorn Factory offers expedited shipping nationwide for your convenience. Visit any of these sites to see the full line of gourmet gifts and holiday floral arrangements while you are considering what to send your friends and family this year. Thank you to 1-800-Flowers for sending us complimentary product samples to base this review upon and for providing an additional product for our contest prize. One lucky reader will receive a $50 gift card to spend on one of the following items or anything you like . . .
. Then leave a comment telling me the name of one item you would most like to send as a gift to a friend or family member. You MUST do this to be eligible to win this contest. 3) For 10 extra entries, download the free Mobile Flower & Gift Center app to your iPhone, iPod Touch, Blackberry, Android, or Mobile Web accessible phone. Then come back here and leave TEN separate comments telling me you did. 5) For 1 extra entry each, follow 1800Flowers on Twitter and/or "Like" 1-800-Flowers.com on Facebook. Then leave a separate comment for each with the link to your Twitter or Facebook profile.